If you haven’t already stumbled upon the first part of this Shark Tank article, you should go read it: What you should know before deciding to go on ABC’s Shark Tank. So how do you apply to get ABC to call you back to get on the Shark Tank? You can probably guess that your email must be “infomercially” enthusiastic, pumped up about your business and product, show that you have some kind of solid business plan or have been running a successful business, and make them see why you will be great for ratings. As promised in my last Shark Tank article, here’s the email submission that we sent in to apply to get our Ahh! Products Bean Bags on the Shark Tank. This will give you an idea of what caught ABC's attention. Please note that some information, like our financials, are not being disclosed here on purpose. I'm emailing to apply for the Shark Tank! Please accept my application for your review. *Please find photos attached (sorry, it's 4 of them not just 1). Get ready for something every kid, adult, and pet LOVES, but is so much better! Ahh... BEAN BAG CHAIRS! Tried and true since the 70's, but now super-improved in QUALITY and especially STYLE! No more ugly bean bags that break! Ahh...that bean bag is... comfy, fun, beautiful, practical, strong, ...! My bean bag chairs all have remove-and-wash covers, an inner liner, and polystyrene pellet filling. More functional AND more stylish! 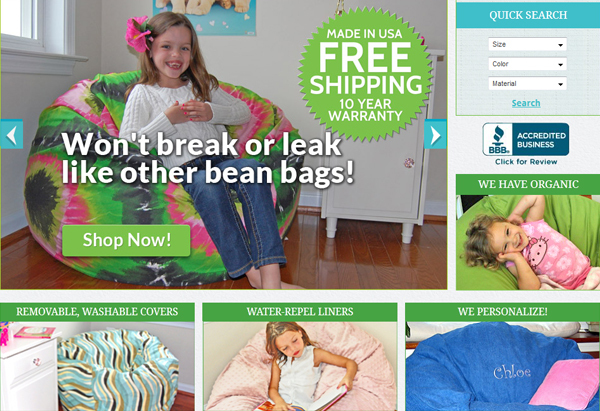 - Made by us in Virginia, USA since 1998 , you can't buy our bean bags anywhere but from us! - we are keen on supporting the local and US economy. - We offer a 10 year warranty on all covers and liners because our bean bags are THAT durable - we have bean bags in homes that are still in daily-use and over 14 years old! What parent doesn't like that kind of real value in this economy? - Our bean bags can take kids from toddler years through college, first apartment, their kids, and beyond - dare we say family heirloom? Not to mention home theaters, reading nooks, and man caves! - Our exclusive inner liner is super strong, won't break, is water-repellent for spills, and has a child-resistant zipper that locks and unlocks with a paperclip so parents can access the filling while keeping curious kids out = safety. This image shows Shark Tank how diverse and beautiful Ahh! Products stuff is! - Proven sales record - $###,000 in a year - and that's with NO advertising. Just word of mouth and Google visitors - parents and grandparents will always be in the market for high quality bean bags , and you can't just get one for one kid in the family! - Proven sales direct to consumers AND corporations, libraries, hospitals, schools, museums, and more (with NO advertising). This image shows Shark Tank how much fun our bean bag chairs are for kids. - I can prove that my sales increase dramatically with wider exposure. - With more sales, I would need funds to invest in increased manufacturing . Since I have been in business successfully since 1998, I have the resources to gear up very quickly. - I would also need funds to better market my brand. - I need a partner with expertise in taking this to a bigger audience and building my brand. 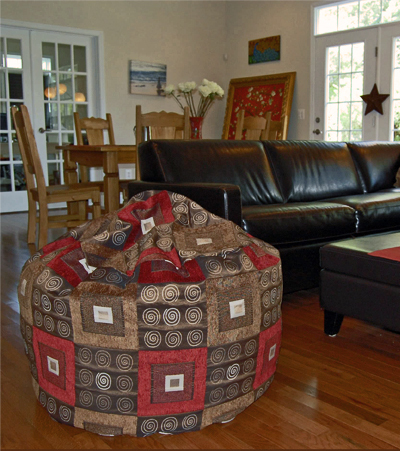 This image shows Shark Tank that our bean bags are luxurious enough for living rooms. - Your viewers will relate to me and see themselves in me: single Mom, breast cancer survivor (1.5 years! ), and proud American immigrant who built a successful company from scratch all by myself from home! As a team, me and my 8 year old daughter would demonstrate how great my bean bags are! - My products have a "green" aspect - we repurpose styrofoam so it doesn't go into landfills, we offer organic, pesticide-free/eco-friendly-dyed cotton, and our bean bags last so long they can be handed down for generations instead of trashed. "Did someone say Eco-prenuer?" As you can see, I put in real numbers to show them that our bean bag chairs are profitable and that we have a proven customer base already. I kept it light, with a sense of humor to show my personality (like in my ending signature line). I also threw in some personal touches to show them that their viewers could relate to me, and that I was a down-to-earth real person and not some rich CEO. I am a Mother, Cancer Survivor, and Woman-business owner that started my business from scratch. That means tenacity and the sheer will to succeed. The sharks would like that, I’m sure! Please, please, please make sure to check your spelling and grammar (I have a degree in English composition, so that's my personal pet-peeve when applying to something important)! I also tried to tie in some background that I found about the sharks, like FUBU (Daymond John) and the Mavericks (Mark Cuban) and Eco-preneur (Kevin O'Leary). I tried to portray the good ol’ American Dream! For the pictures, they only asked for one. But, at the risk of not following the instructions, I sent them the 4 photos above. I figured they needed to see how colorful and diverse my bean bags are... and how awesome! Feel free to use my submission to give you ideas, but please do not copy me. Besides, you don’t run a bean bag chair company do you? So the questions still begs to be asked: What did we end up doing? Well, you can probably guess by the tone of my earlier rants about signing away part of my business regardless of whether I got a deal or not. I chose not to proceed on to the second rounds. For me, since my company has been around since 1998, and we have been successful for over 15 years offering quality bean bag chairs to a huge number of people worldwide, it just wasn’t a good fit. For a startup that needs money to go forward like the pet treat couple I described earlier in my previous Shark Tank post, it’s a no-brainer to try to get a deal. I mean, if you can't get your business off the ground without the shark's money, then you don't have a lot of choice. If they give you the money and that lets you actually make something of your product, then giving ABC 5% (plus the shark's share) of profits you probably wouldn't have gotten without the sharks makes sense. *Again, read my previous post to know what the heck I'm talking about. But for an established company like mine, I just couldn’t see myself giving up a 5% portion of the company for the rest of the business’ life just for appearing on the show. Sure, if I got an awesome deal, it could have been worth it. But the sharks turned down so many products that I thought were pretty darn good ideas. I couldn’t risk not getting a deal and walking away not only empty-handed, but with less than I came with! 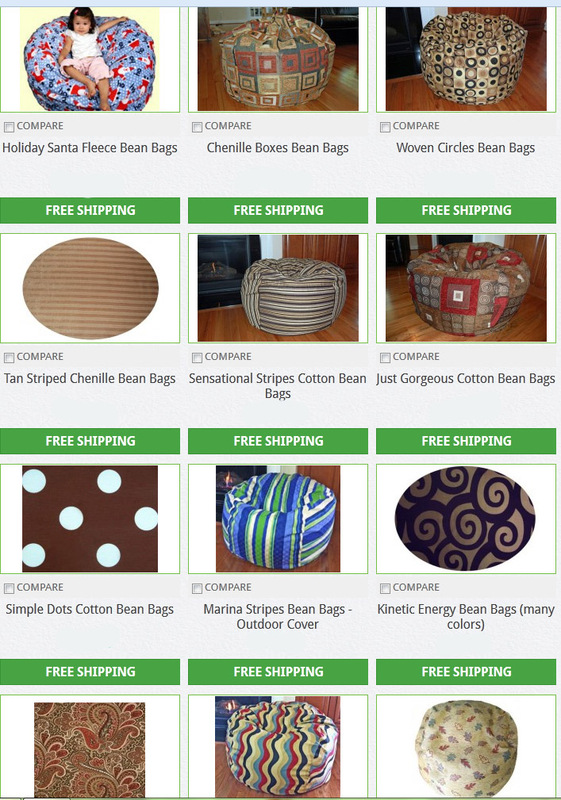 Although it would have been great to be able to hook up with a shark and get into his or her rolodex of connections and contacts, and of course use his or her money to expand the business and spread the love about our washable bean bags, we don’t need the money to move forward or to survive. In other words, we are not dead in the water if we don’t get a deal, so I didn’t want to be on the hook for 5% off our profits “in perpetuity” – that is in the contract and it means forever and ever! So there you have it. Our experience with the "almost-Shark-Tank-15-minutes-of-fame-appearance". Feel free to contact me at Ahh! Products (phone me at 888-244-6818 or email Jade@ahhprods.com) if you are thinking of applying to go on the show, I’d be happy to give you my two cents. For what it’s worth anyway! Check out what’s going on at the Shark Tank’s Facebook page.